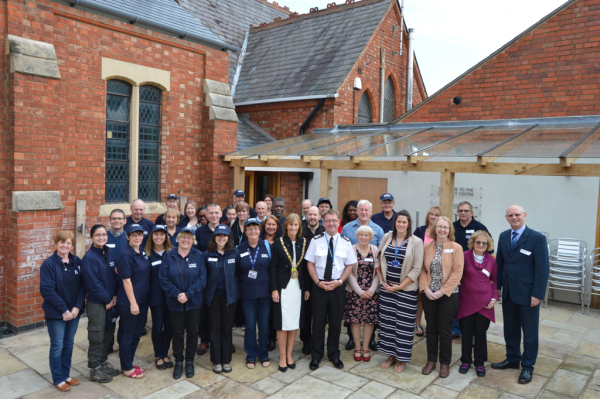 Rugby’s Mayor, Councillor Mrs Sally Bragg and Chief Constable , Martin Jelley, pictured with the Rugby Street Pastors their families and friends. Rugby Street Pastors held their AGM followed by a Celebration Lunch at Rugby Christian Fellowship Church a few weeks ago. In attendance as VIP guests were Rugby’s Mayor – Cllr Mrs Sally Bragg and Chief Constable of Warwickshire Police – Martin Jelley, who was the guest speaker at the Celebration Lunch. Martin Jelley drew a parallel between the Warwickshire Police Force vision of protecting people from harm, and the Street Pastor mission, stating his commitment to protecting the most vulnerable in our community. He thanked the Rugby Street Pastors and acknowledged the value of their work to the public and the Police. At present there are 38 patrolling Street Pastors in Rugby, with teams of 4 or 5 patrolling the town centre streets every Friday & Saturday night, providing practical help & advice.